The Dappled range goes from strength to strength. Hit. Bang on. Pear, apple, honeysuckle and grapefruit with a steely, spicy ring through the finish. Cutting and fleshy at once. Pulpy, you’d almost say. Fresh, long and zippy but with varietal expression clear throughout. Another year in bottle won’t hurt it. It’s pretty clear by now that Dappled is an out-and-out star producer. One of the very best. The value is extraordinary but quality is the main take-home. 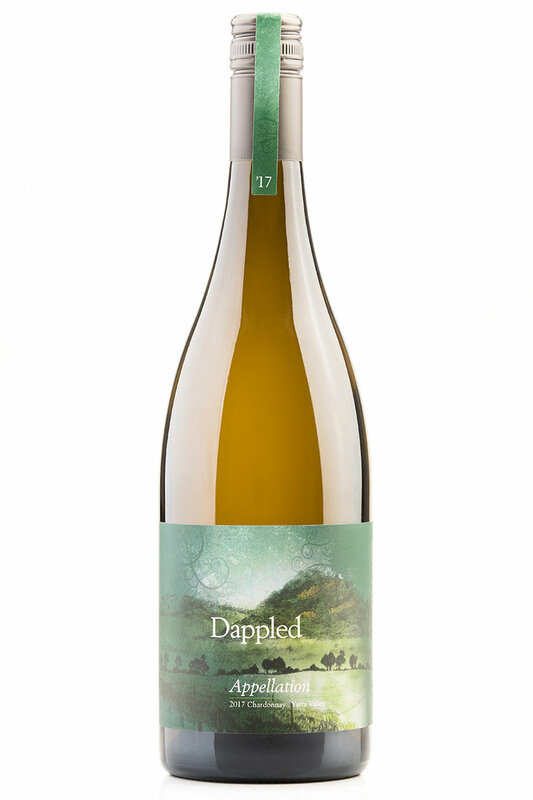 There won’t be any single vineyard wines produced by Dappled out of the Yarra Valley from 2016 – kudos. If you’re in the market for chardonnay then this is fill your boots territory. It’s so fine, so complex, so seamless. It has intensity of flavour and texture both, but in neither respect is it overt or overdone. It all just feels and flows naturally. Stonefruits, fresh and delicious, a run of spices, a clip of wood. A mealy character, almost into matchsticks, hovers without ever quite descending. It’s a picture of elegance and restraint, but not self-consciously so, and is every bit satisfying. A beautiful wine. Look, if you like chardonnay, go and buy some of this. It’s just a gorgeous drink. Essence of chardonnay. A bit of funk, a bit of cool length, a lot of flavour, a lot of class. It’s sourced partly from the Upper Yarra and you can tell; there are green apple and chalk notes, almost into citrus, here. But then there’s white peach and grapefruit too, combined with almond meal and dried/candied fruits, and an all-round juicy drinkability. One sip, bang, you’re hooked. You simply cannot go wrong. Love it. An exquisitely sculpted wine of magic, its magic lying as much in what it doesn’t say as in what it does – a perfect union of stone and citrus fruit, acidity and oak. Almond meal, spice, slight whiff of struck match, nectarine; it almost tricks you into thinking you might have a softy on your hands, but it fairly zings with firm grapefruity flavour and acidity, though that softening cover of almond takes the edges off, somewhat. It’s chalky and flinty, very direct, and long through the finish. You have to like them firm in the acid department, and it has an almost Riesling-like intensity, but there’s no doubt that it’s a very good wine. Needs a little more time in bottle to relax. If I were a Mornington Peninsula chardonnay winemaker, I would be shying away from the challenge to my raison d'être. This uncompromising purity (no mlf) is apt to take no prisoners. This wine is long and lean but it also has presence and command. In the glass right now you could argue that it looks slightly disjointed, but only in the sense that it’s still waiting for its arms and legs to line up. They will. It tastes of slate and oatmeal, bacony oak, grapefruit and lemon. Stonefruit flavours have a slight greenness to them, but nothing that won’t come out in the wash of time. This has a very complex bouquet, and an equally complex palate; new French oak and a fearless early picking approach have a hologram-like impact, ever shifting around a spear of pink grapefruit. Unexpectedly, it came second on a recount to the Appellation Yarra Valley Chardonnay.